Hello….This is Holly up here in Yakima. I live with Emery! You might remember we were the ones that had the deaf Dalmatian. He passed a little over a year ago. It was a quick thing and Em really grieved his passing. She attached herself to me much more than before (think 2 feet as being too far lol). Comment on your loss: We were so very sorry to hear of your loss. It is very hard on the Weimaraner (as you mentioned). No matter how many times I remind myself, and others, that we do not know how many days we have together, it is hard to wrap your brain (and heart) around that fact. We think of our relationship in endless (long-term) status. We know it is not so, but no matter how long these wonderful creatures live, it is never long enough. Even with the best of breeding (and care) some are snatched away way too soon. Of course, we hear of these situations almost weekly. A lot of people contact us about their loss (even though we have never met them before). There are never adequate words to cover such a loss. Cliff and I are happy you have Emery in your lives. 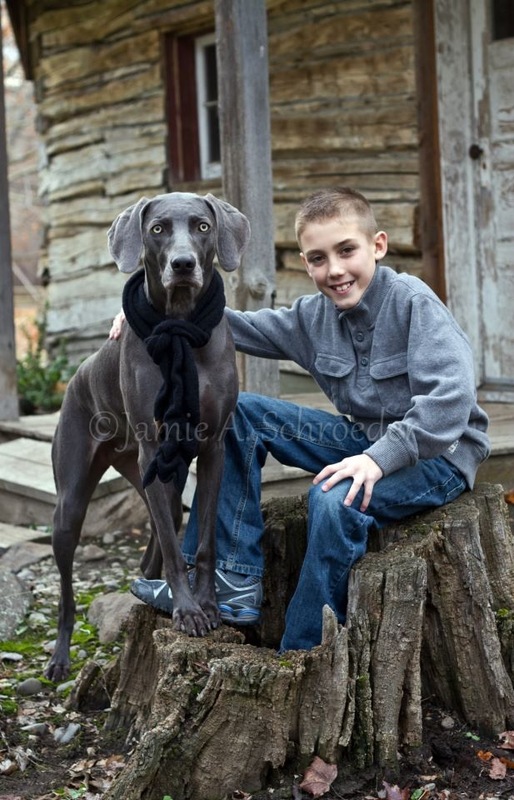 We look forward to the day when you can bring home a silver gray Weimaraner–adding to your family. Thank you for loving Emery so very much. Again, we regret your loss. Em has some allergies, not bad but I feel for her. We’ve determined that they’re not necessarily food based allergies, definitely some environmental allergies as well. The thing I noticed is her coat isn’t as shiny as normal and I was just curious what your recommendation is. I give her fish oil daily which she loves! A lot of her issues are probably directly related to her constant dumpster diving she does! She gets into anything that’s not put away before we leave…..she’s not so keen on getting left behind! She’s an only dog these days and could likely use a friend (my son has been begging for a silver weim) but until then….we just play LOTS of ball!!! She’s a show stopper around town and quite the protector of our street (shhh, don’t tell her she doesn’t own the neighborhood)! Hope all is well, I love reading the blog! 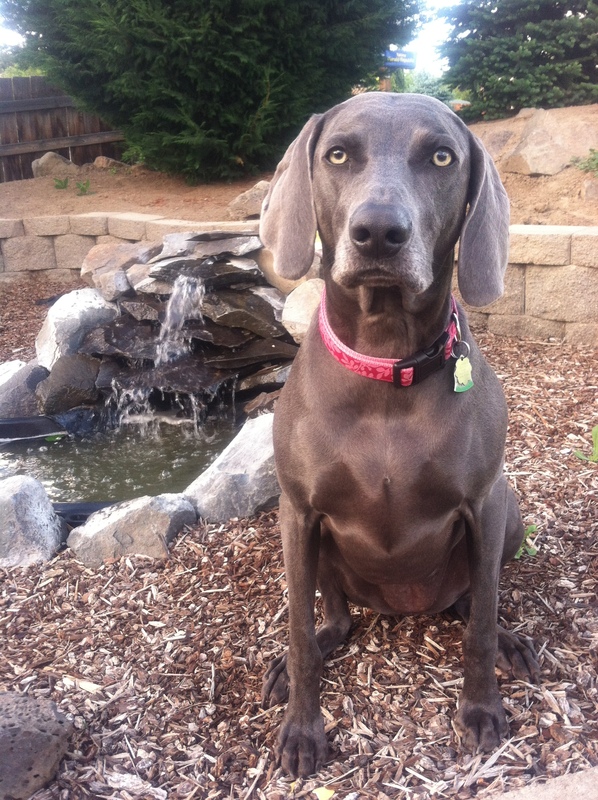 Breeder’s Comment: Allergies are common for the Weimaraner. Food-related allergens are the most common. Frequently grain is the culprit–wheat, corn, or barley. Various unknown grasses (turf and wild, alike) are also known offenders. Over the years, we have gotten reports of the grass-allergy happening when the sod was changed, or upon moving into a new home. We do not know what kind of grasses are likely to cause a problem. Bees and other stinging insects can bring on a serious allergic reaction. The worst scenario can lead to Eosinophilic Folliculitis–that is very rare. Finally, we learned of a new allergen. This was methodically discovered by an OwyheeStar client, via systematic elimination of potential allergens.. The culprit came to light when the Weimaraner developed a rash after exposure to a newly laundered comforter. Melissa used All Clear and Free detergent and dryer sheets. After eliminating the use of the dryer sheets the itching stopped for the most part. Melissa wrote concerning Bristol–Since I discovered this, (it’s been a couple weeks) her coat looks 10 times better and the scratching has mostly stopped, hallelujah! I was starting to get discouraged looking at people’s stories online when they were trying to figure out what was wrong with their dog, so I am just so thankful she slept on my bed that night. It is hard to address something like allergies. We think avoiding medication, and shots is the best approach when possible. This might give someone an idea about what to check for, and how to approach the elimination process. We recommend getting the thyroid checked. The Weimaraner has a high incident of thyroid issues. It is very treatable, but can go undetected for a good long time. That is a test worth doing.